This one off introductory offer will help your friend identify what it is they are doing wrong, why they are not having success and how they can change the pattern. They will get expert feedback, advice and a suggested plan of action including things like change in attitude and behaviour resulting in off the scale results. 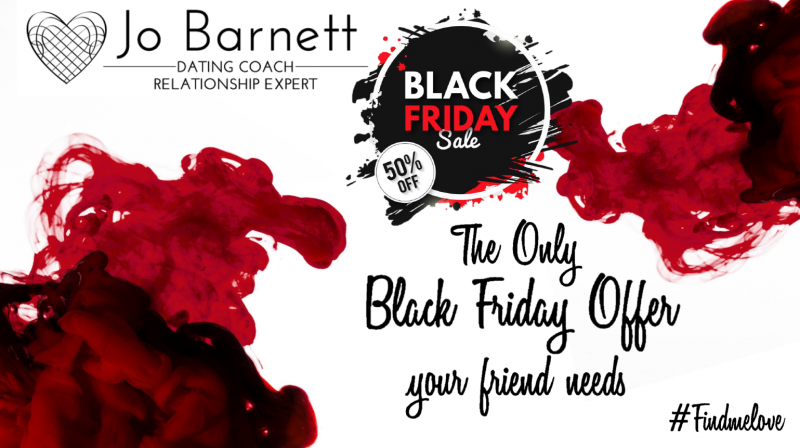 As a qualified dating and relationship coach with over a decade worth of coaching singles and relationships I have a track record of speedy results and a no nonsense approach. Come ready to step up a gear or two! Black Friday offer, send to a friend and give yourself a break!